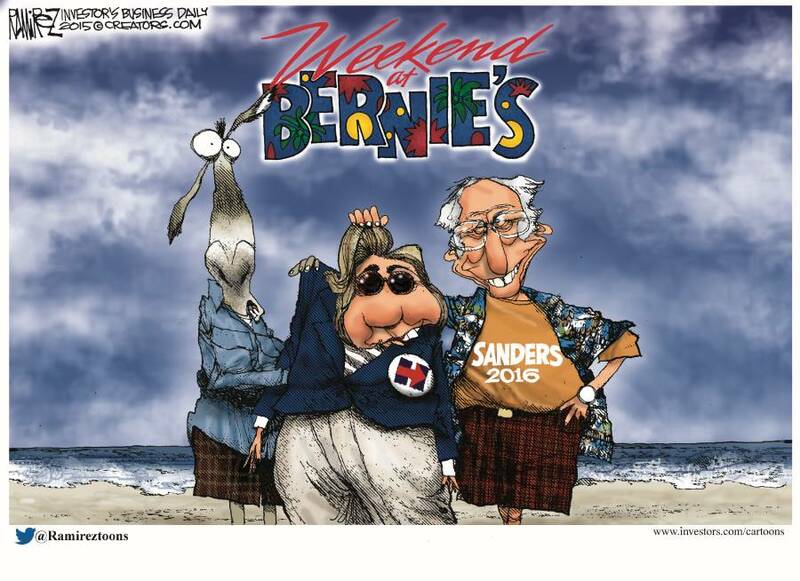 This began looking like "Weekend At Bernie's"
That guy behind her saw it all, Chuckie Schumer and it wouldn't surprise me if he was behind this effort to depose Hillary. Here’s more on Clinton’s physician, Dr. Lisa Bardack and previous statements she has given on Clinton’s health. Clinton, 68, was diagnosed on Friday with pneumonia Dr. Lisa Bardack said in a statement. The former secretary of state “was put on antibiotics, and advised to rest and modify her schedule,” according to the statement. “While at this morning’s event, she became overheated and dehydrated. I have just examined her and she is now re-hydrated and recovering nicely,” said Bardack. Bardack attended to Clinton at her Chappaqua home Sunday, according to several news outlets. The pneumonia diagnosis comes after a widely reported “coughing fit” days earlier, which her aides had blamed on allergies. “On Friday, during follow up evaluation of her prolonged cough, she was diagnosed with pneumonia,” Bardack explained. She participates in a healthy lifestyle and has had a full medical evaluation, which reveals no evidence of additional medical issues or cardiovascular disease. her cancer screening evaluations are all negative. She is in excellent physical condition and fit to serve as President of the United States. 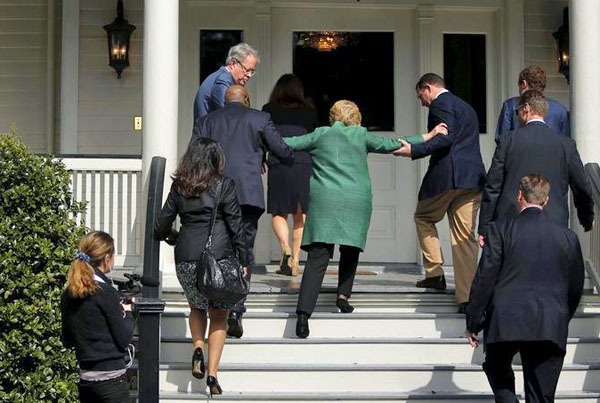 Hillary Clinton is seen as the last candidate standing who can keep the establishment in Washington D.C. from existential ruin, but she’s having trouble standing. So far, Dr. Lisa Bardack seems to be the only physician who believes Hillary's total collapse is a result of pneumonia. Remeber this event on August 7th? The Chief Wookie is too lazy to run for President.